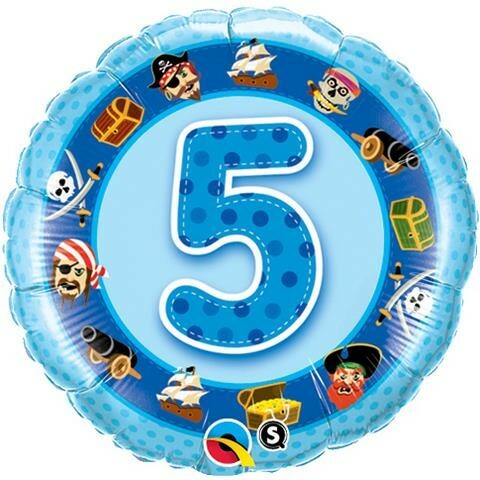 Round shape age 5 blue pirates foil balloon that measures approximately 18 inches. Light and dark blue colours with pirates; cannons and other pirate pictures. Can be air filled and suspended or helium filled.